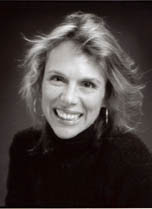 CHARLOTTE BACON is an American novelist and short-story writer who lives with her husband and two children in Sibang Kaja, Bali, in a house made of bamboo. She graduated from Harvard University and received a Master of Fine Arts degree from Columbia University. She taught English and Creative Writing for a number of years at the University of New Hampshire in Durham. Her published books include A Private State, Lost Geography, There Is Room for You and Split Estate. Her début collection of stories, A Private State, won the PEN/Hemingway Award for First Fiction in 1997. She is currently working on a novel set in India in the 1830s. Could you tell me something about yourself? What’s life like in Bali? I live in a bamboo house on the campus of Green School, a new, international school that is based around principles of environmental sustainability. My husband, Brad Choyt, is the director. We moved here from New York last November [November 2007] with our two children and plunged into the project. It’s been an incredible adventure. Bali’s people, beauty, and warmth move me every day. I went back to Columbia to earn my MFA when I was 27 and it wasn’t until then I really decided that writing was going to be the heart of my working life. I’ve also had jobs as a counsellor, a journalist, a guide in the Himalayas, and been certified as an emergency medical technician. For eight years, I taught English at the University of New Hampshire. I’m a distance runner and a mother, and all of those experiences have affected my writing as well. I have always loved learning languages, reading and connecting with people, and writing is a bridge through all those pleasures, too. Was it difficult getting published? Did you experience difficulty in finding a publisher? My first book, A Private State, a collection of stories, won a prize that allowed it to be published and then it won the PEN/Hemingway Award for First Fiction. Those two strokes of good luck made it easier to find an agent, which made it easier to find a publisher. I specifically wanted to work with an editor, Elisabeth Sifton, at the house where I have been published—Farrar, Straus and Giroux—and have had the good fortune to work with her for ten years on three novels. Alice Munro, Chekhov, Virginia Woolf, Gabriel García Márquez, Don DeLillo and Patrick Leigh Fermor. I read everything, omnivorously, fiction, nonfiction, poetry, magazines, milk cartons, comic books. I was never without something to read. All writers are readers first. Who are some of your favourite authors? And why? The list above captures a few of them, though the list of books and writers I love is so long, it’s hard to name them all. I love writers who crackle with intelligence but don’t let their ego run away with the narrative or let their prose get pyrotechnic just to revel in their literary gifts. Character, place and voice are first, style and beauty winding through those to form a whole. Sir Francis Galton’s The Art of Rough Travel for details for my novel in progress, which takes place in India in the 1830s. 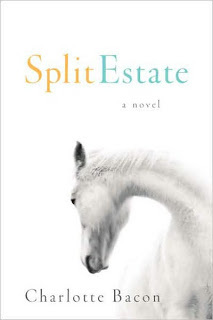 Could you tell me a bit about your novel, Split Estate? It takes place in contemporary Wyoming against a setting of a new surge of terrible mining—coal-bed methane—and examines a family six months after the suicide of the mother. I wanted to take a place I loved and admired for its roughness and beauty and look closely at how a variety of people respond to awful loss. I don’t take breaks, really. I am always reading. I am always writing. They are activities that are just part of my life. What is the difference between writing short stories and full-length novels? Which form do you prefer? I am going to be moving back to short stories: they are so potent and compact. Novels require endless concentration and mine tend to take a lot of research. The differences between the forms are too elaborate to describe quickly, but there’s a thrill and a quickness in a short story that novels just can’t equal. Grave Paley’s Enormous Changes at the Last Minute. 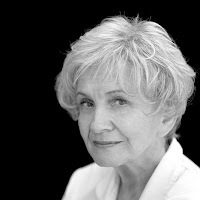 And anything by Alice Munro. Short stories appear to be gaining more popularity. Jhumpa Lahiri continues to publish wonderful collections. Anne Enright published a short-story collection after her Man Booker Prize-winning The Gathering. What are your thoughts on this? Publishers find short-story collections hard to sell. Why do you think this is so? What can we do to make people read more of such collections? I don’t know if short stories will make a comeback or not. Nor do I know why they don’t sell. Reading everywhere is on the decline. It’s not just collections that are in jeopardy, but books in general. It is up to teachers, parents, grandparents to instill respect for narrative, patience, love of the imagination in children’s minds. The silence and power of reading can’t be matched, but it will fade unless we help children love it, honour it, protect it. Eric Forbes is a senior book editor with MPH Group Publishing in Kuala Lumpur, Malaysia. After reading economics for a degree, which he didn’t particularly enjoy but somehow endured, he had a succession of jobs before joining the publishing industry. He has been in bookselling and publishing for over 20 years now. He can’t imagine doing anything else. I can't find any of her books in Kuala Lumpur. Such a shame!